Star Wars fans are truly some of the best fans on the planet, and they proved it once again during one of the most difficult times our fandom has ever seen. Earlier this week Carrie Fisher, who was best known to us as Princess, and later General Leia Organa, passed away tragically at the age of 60. 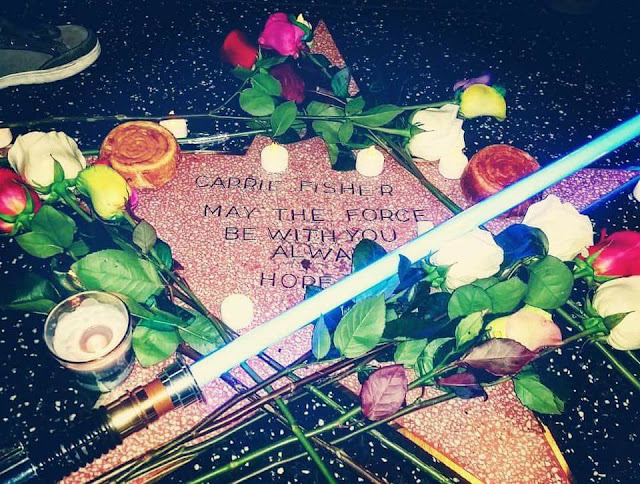 While the World mourned the passing of such an influential icon, many Star Wars fans took it upon themselves to pay tribute to Carrie in their own ways. Below we have collected a handful of instances where fans ingeniously bid farewell to their favorite Princess. 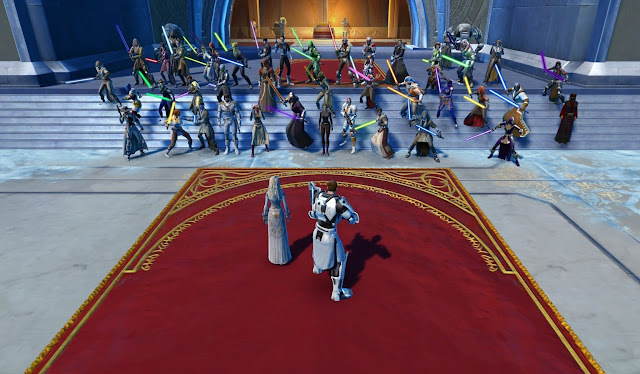 Star Wars: The Old Republic players found a way to celebrate Carrie's life virtually. Reportedly, a large group of players flocked to House Organa on Alderaan in the game on multiple servers to honor Fisher. And lastly, but certainly not least, Carrie Fisher received a well deserved, but temporary star on the Hollyood Walk Of Fame in Hollywood, California. Fisher does not currently have an official star, so on Tuesday night, after hearing the news of Fisher's passing, a group of fans led by Jason Thomas vowed give her a star. While losing Carrie Fisher, and her mother Debbie Reynolds, was truly heartbreaking, it is incredibly inspiring to see so many fans go above and beyond to show their love and support for a beloved member of the community. With fans like these, Carrie will never truly be gone.